Your new favorite fall denim sport shirt has arrived - the Greydon is constructed from a lightweight twill with a subtle wash to give it the perfect lived-in look. 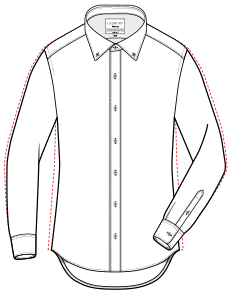 Finished with an alden collar and a shortened body, allowing the shirt to be worn tucked or untucked. Available in slim and classic.